Escape the ordinary and head to the base of the Puerto Los Cabos marina where you’ll find the edgy and creative, Hotel El Ganzo. 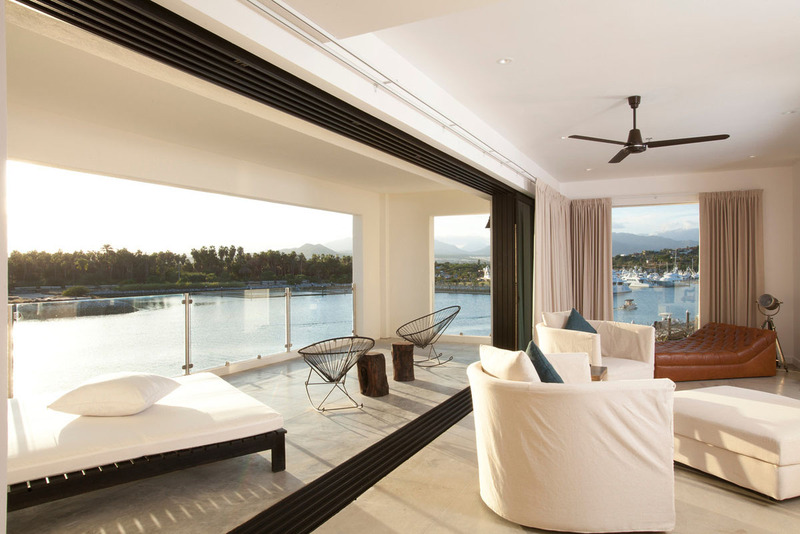 The 69-room boutique hotel is loaded with an artistic ambience and out-of-the-box vibe from top to bottom—literally. The hotel boasts an underground state-of-the-art recording studioalong with an artist-in-residence program that invites artists from all over the world to use El Ganzo as their canvas and muse. While the musically inclined head down to The Underground studio, the visually creative can take to the hotel grounds to craft live installations for guests to marvel at. The hotel’s edgy vibe even seeps into its accommodation offerings with come suites being individually designed and decorated by El Ganzo’s upcoming artists-in-residence. The hotel also features a beach club, a state-of-the-art fitness center, a spa, access to the signature Puerto Los Cabos golf course, a waterfront lap pool and a rooftop that includes a lounge, a restaurant, an infinity pool, cabanas and a popular glass-enclosed Jacuzzi. A total of four restaurants and two bars are available to hungry patrons with choices ranging from rooftop sushi to casual, beachfront fare. Located on Acapulquito Beach, one of the top surfing beaches in Los Cabos, this cozy hotel is perfect for aspiring surfers and active visitors. Surrounded by lush vegetation and decked out in white stucco walls, arches and red-tile roofs, this boutique stay is reminiscent of a California-style bungalow with carefree West Coast vibes.Whether you’re a veteran rider or have yet to touch a board, the hotel has its own on-site surf school, Mike Doyle Surf School, which offers a variety of classes for both beginners and experienced surfers. There is also a surf shop on site that’s loaded with various-sized board rentals ranging from long boards, short boards, soft boards, boogie boards and stand-up-paddleboards. The surf shop also has its own surf clothing line. To wind down, the hotel’s Sea Spa Cabo is a cozy and intimate spa that offers a variety of treatments like body wraps, massages, facials, scrubs and more, while the seaside restaurant, 7 Seas serves a menu full of fresh catches in a casual environment overlooking the glimmering water. 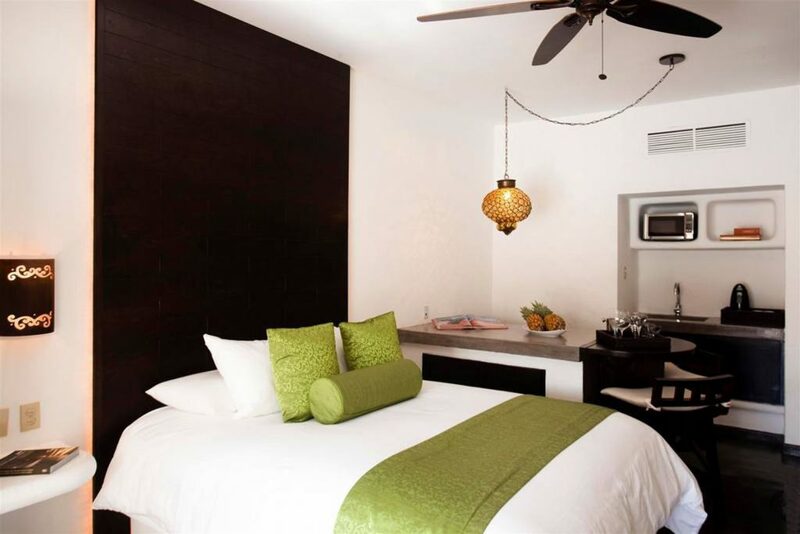 This urban feel boutique hotel lies in the Medano district within walking distance of anywhere worth going. 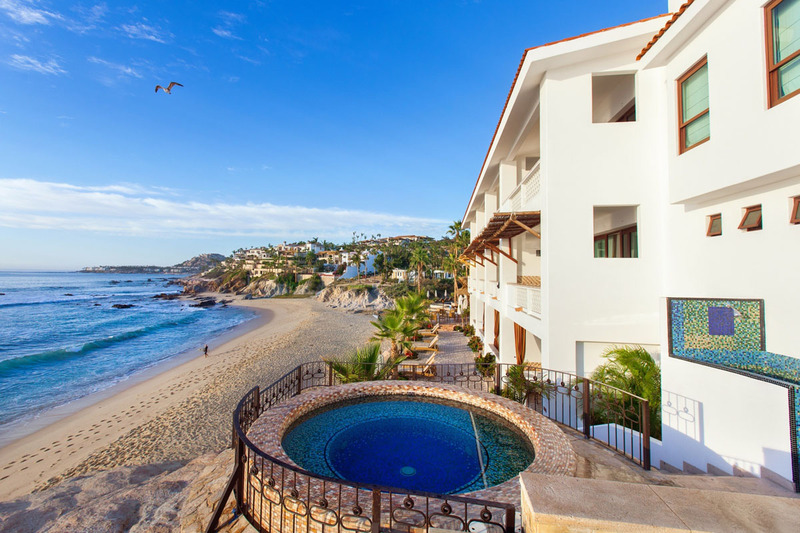 Located in the heart of Cabo San Lucas, Bahia allows visitors to enjoy an ultra chic experience. Bar Esquina, Bahia’s signature gathering spot is said to be the hippest place in town by locals and tourists alike. Whether you’re looking to relax poolside and enjoy the day, or to explore the area by way of adventure, Bahia can be both.